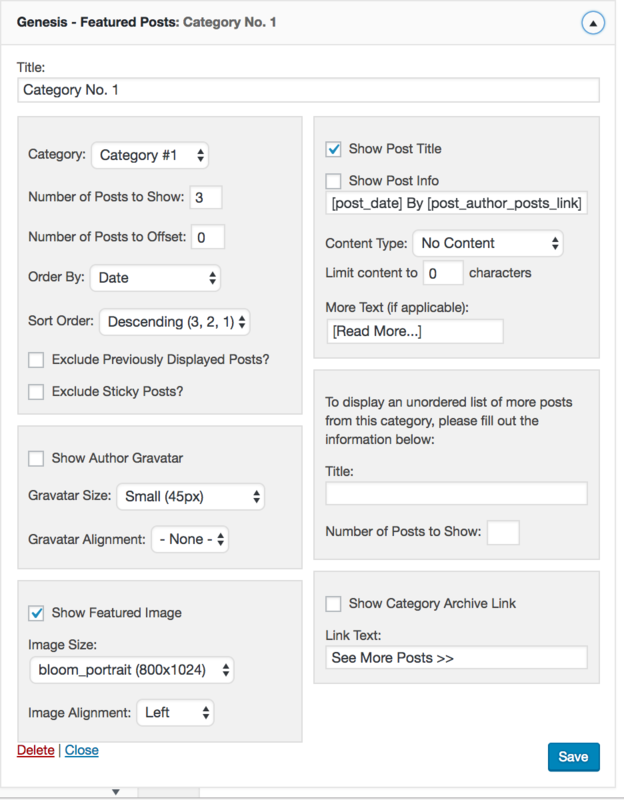 First, create a page and title it whatever you’d like your category page to be called. Then, for the page template, select the index page template. Click update. In order to add content to this page, go to Appearance > Widgets. Find the Index Page widget area. This is where you add the content to your category page. Add the plugin Genesis Featured Posts. You will need to add multiple of this plugin to display however many categories you’d like. 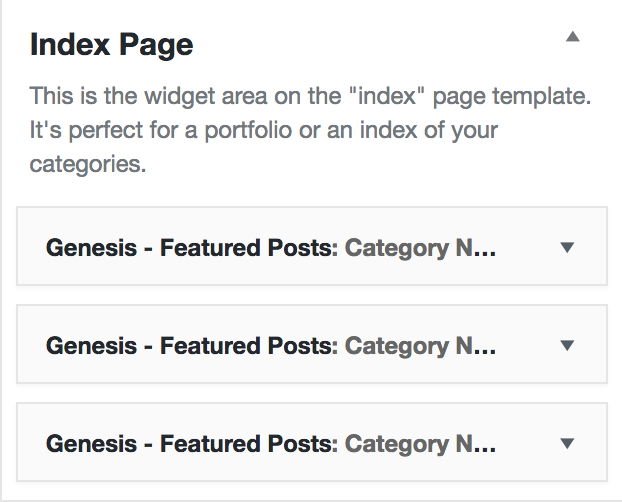 So, to display two categories like I have on the demo, you will add two Genesis Featured Posts plugin. 2. If your images aren't displaying correctly, make sure they are tall enough (i.e. 1024px tall) if you select the portrait size. If they are, run the Regenerate Thumbnails plugin. Once it is downloaded and activated, go to Tools > Regenerate Thumbnails. When this plugin is running, don't close the page or the process won't complete.